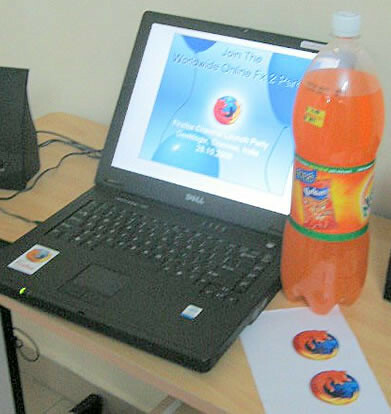 Mozilla Firefox Party, Live Action From Chennai, India !! 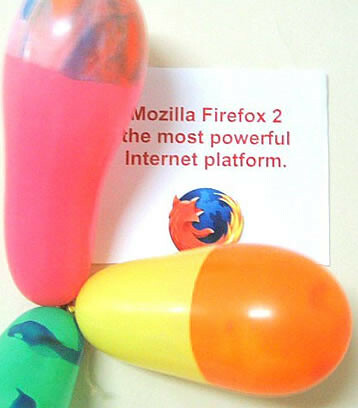 To celebrate the release of the latest Mozilla Firefox version 2, Firefox Party is been organized all over the world to mark the event. 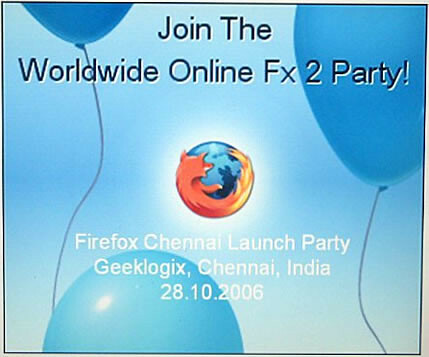 We celebrated the Firefox Party at Chennai on 28/10/2006. 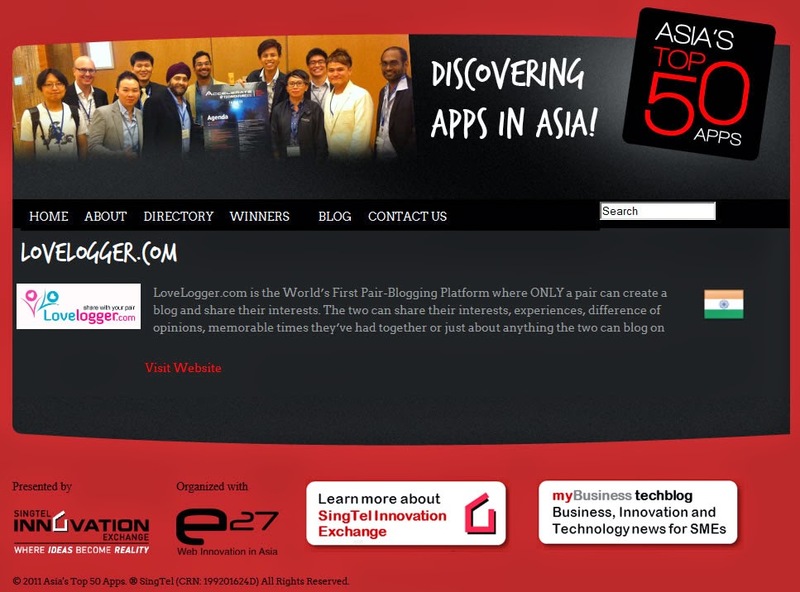 The party was wonderfully organized by GeekLogix Solutions, Chennai. 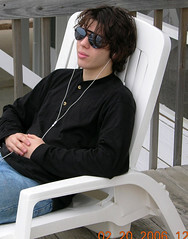 It was an invite only party with limited participation. 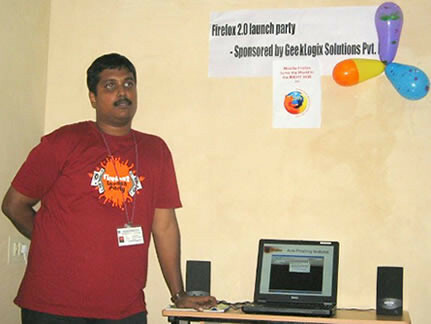 I am really proud to be part of the organizing team of the Firefox Party Chennai. 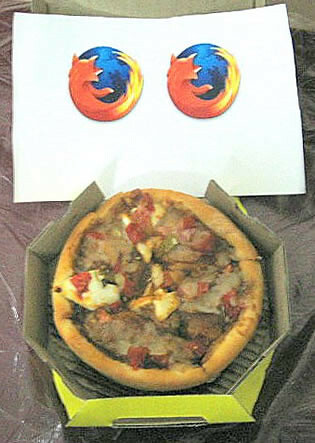 Firefox party in Chennai was a massive success :). 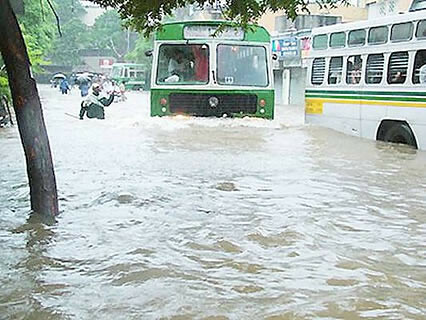 In spite of HEAVY FLOODED rain in Chennai, Every one of us challenged nature to be there on time. 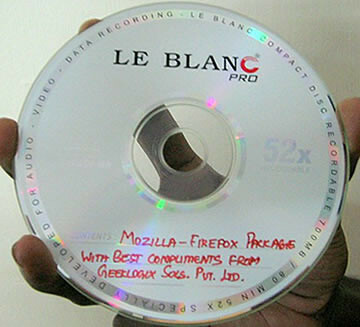 CD Distribution of Mozilla Firefox 2 bundled with loads of extensions and Mozilla Thunderbird, along with Ubuntu CDs. Tasting Hot Panner Pizzas and Cool drinks. 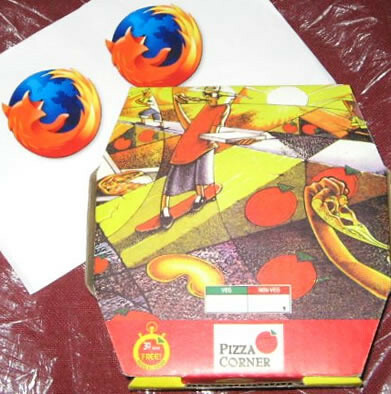 Serious, interactive discussion on features people love in Firefox and different ways to spread Firefox in the region and many more things, along with tasting pizza’s ;). 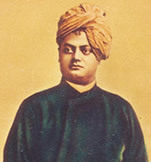 Sundaram, Taslim Ahmed, Prabheesh Chandran, Manoj Kumar, Sankarapandian, Ashok Srinivasan, Shyam Sundar, Srinivasan Ramachandran, Subramanian, Sridhar, Vijayaarasan, Hari Krishna and Balakumar Muthu. 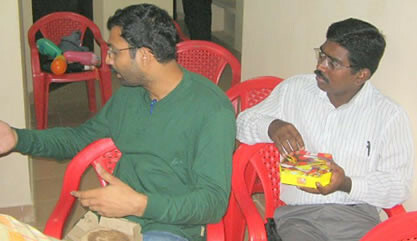 Members of the GeekLogix Solutions Mr. P. Sundaram, Taslim Ahmed and Prabheesh Chandran. 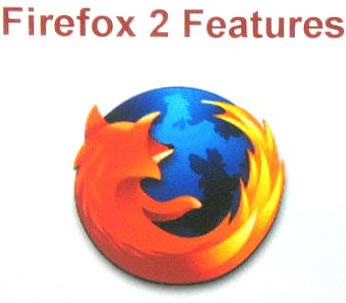 All the Participates received the latest Mozilla Firefox version 2 bundled with bunch of most useful extensions and Latest version of Mozilla Thunderbird CDs. 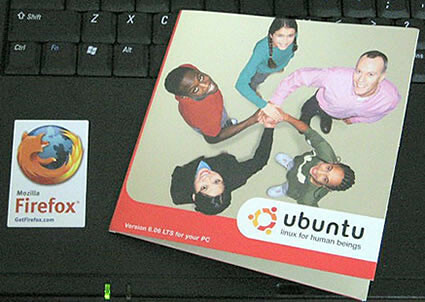 And the latest edition of Ubuntu Dapper CDs. Very HOT taste Panner Pizza ;). At this moment, I would like to convey my very special thanks to Mr. Krishnan Subramanian CEO of GeekLogix Solutions, for his strong support for the event, only because of him the party was made in to a GREAT success. And thanks to all the participates, it was an amazing experience for me to meet you guys. 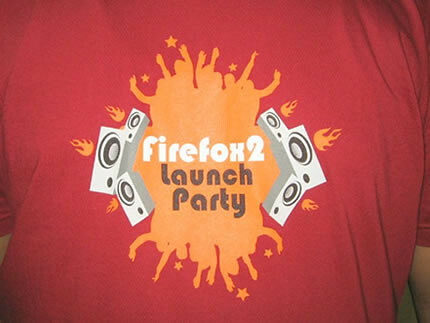 Do join the Fun and to get ROCKED with FFox!!. 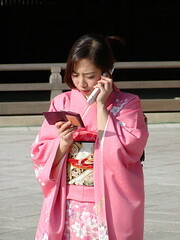 Mobile Phone Recognize its Owner ! 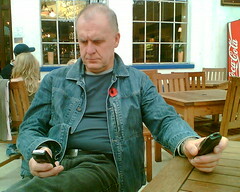 Find Out, What Kind of Blogger You Are? 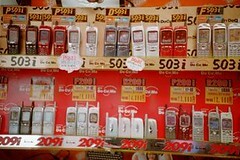 Mobile Phones Increases Infertility in Men! 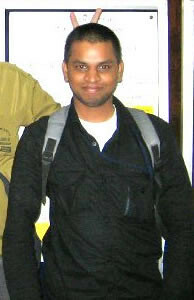 My Happy Diwali Wishes to You and Everyone :) !! 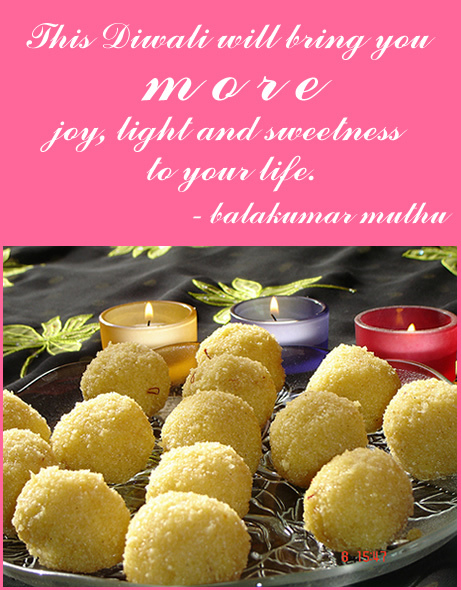 This Diwali will bring you M O R E joy, light and sweetness to your life. 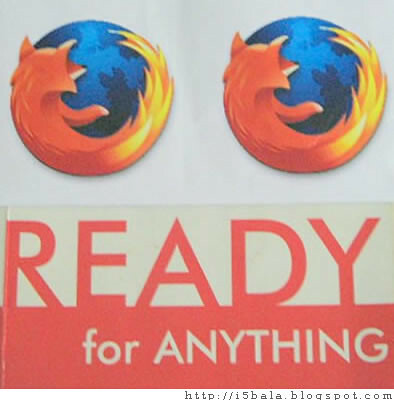 Firefox Version 3 Feature Suggestions !! 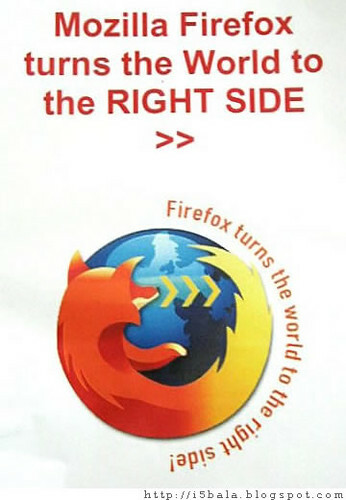 11 Important Timelines of Open Source Software Movement, During Last Century !! 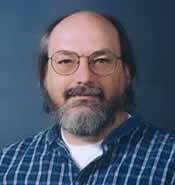 Ken Thompson, a researcher at Bell labs, develops the first version of Unix. 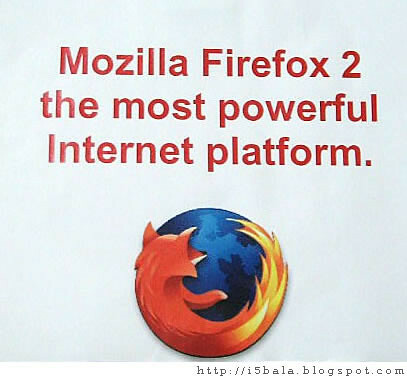 A multi-user, multitasking operating system, Unix becomes popular in universities and research labs, and its source code is distributed freely. 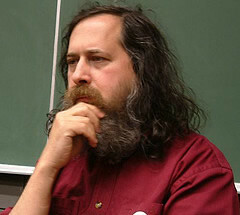 Richard Stallman, a pioneer in the open source movement, joins an MIT group devoted exclusively to free software. AT&T announces plans to commercialize Unix, and in response, the University of California at Berkeley creates its own version of Unix, called BSD [Berkeley Software Distributions] Unix. 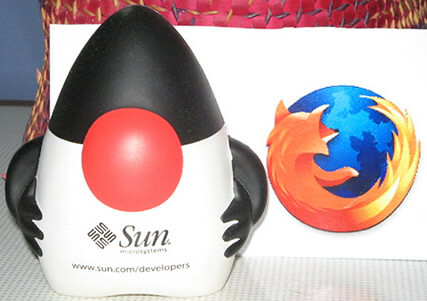 BSD Unix is adopted by vendors such as DEC and Sun. AT&T and Sun later agree to merge their version of Unix, which prompts competitors [DEC, HP, and IBM] to form the Open Software Foundation. 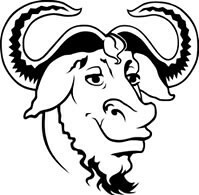 Richard Stallman established the GNU project to promote the free software model, applications and programming tools. GNU establishes the General Public License [GPL], better known as copyleft, which becomes the model for many open source projects. 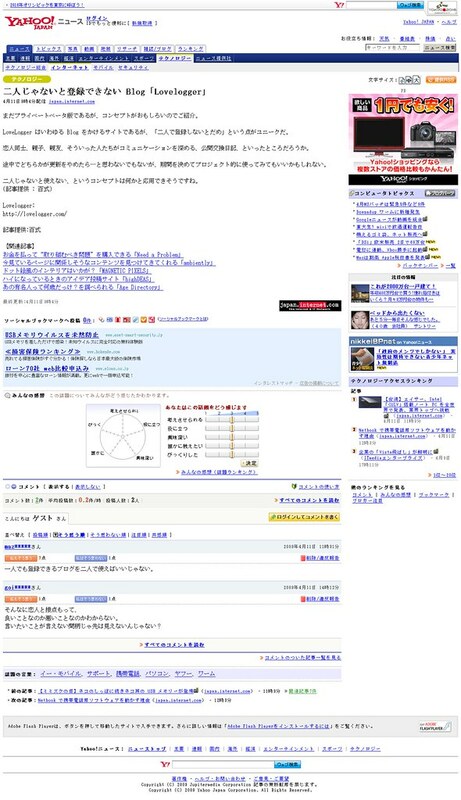 Larry Wall creates PERL[Practical Extension and Report Language], a CGI [Common Gateway Interface] scripting language, which is one of the standard means of delivering more dynamic content on the Web. 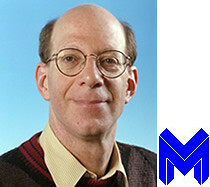 Developer Andrew Tanenbaum released Minix, a version of Unix for the PC, Mac, Amiga and Atari ST. 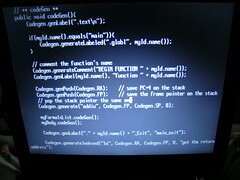 It comes with complete source code. 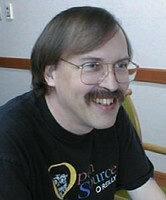 Aiming to exceed the capabilities of Minix, a student at the University of Helsinki, Linus Torvalds, releases a new Unix variant, Linux. 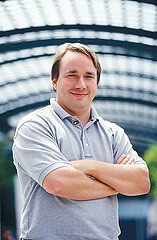 Three years later, Torvalds copylefts Linux. FreeBSD 1.0 is released, based on BSD UNIX, Free BSF includes networking, virtual memory, task switching and large filenames. 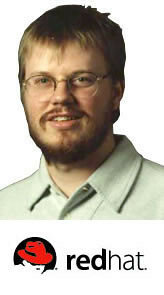 Marc Ewing forms Red Hat Linux with an aim to simplify Linux usage. 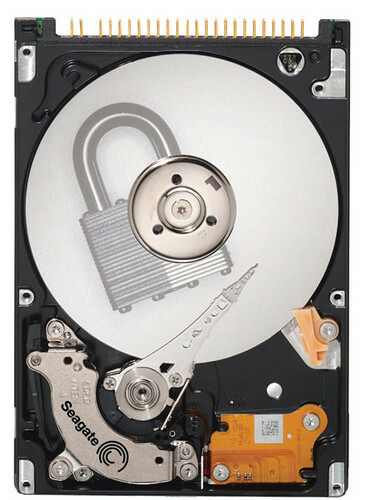 Red Hat Packages Linux with third-party applications, documentation, and initial technical support and starts sells their version. Same year, Bryan Sparks founds Caldera with backing by former Novell CEO Ray Noorda. 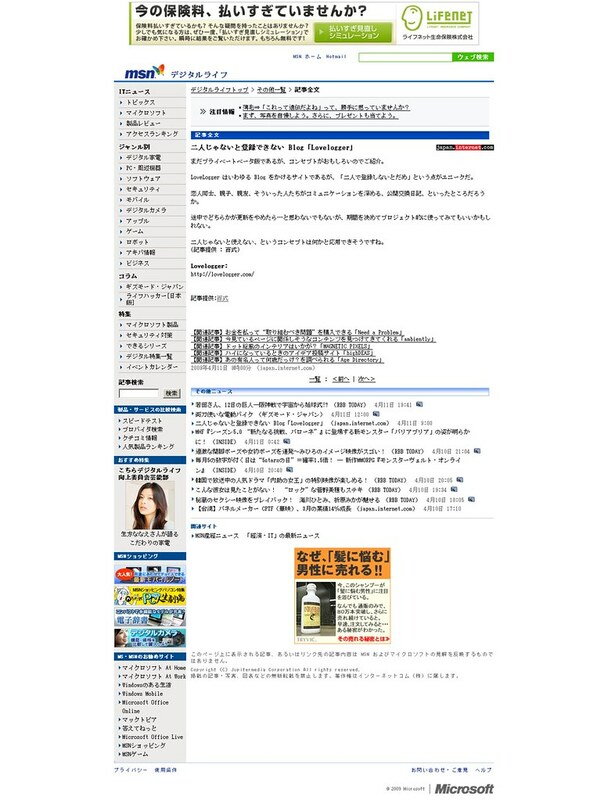 The Apache Group builds a new Web Server, Apache based on the National Center for Supercomputing Applications [NCSA's] HTTPd 1.3 and a series of patch files. 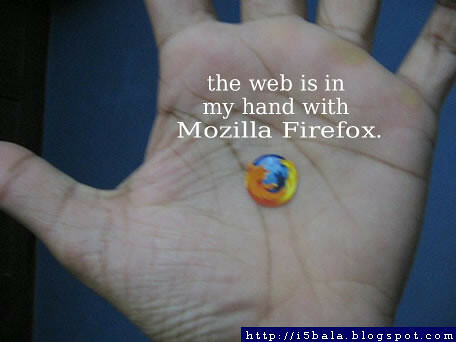 The free Web server becomes one of he most popular HTTP servers. 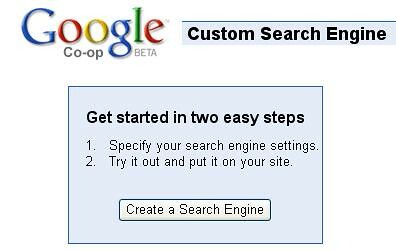 Netscape announces it will not only give away Communicator 5.0 but will also release its source code. Corel Computer Corporation announces Netwinder, an inexpensive network computer that uses Linux as its production OS. 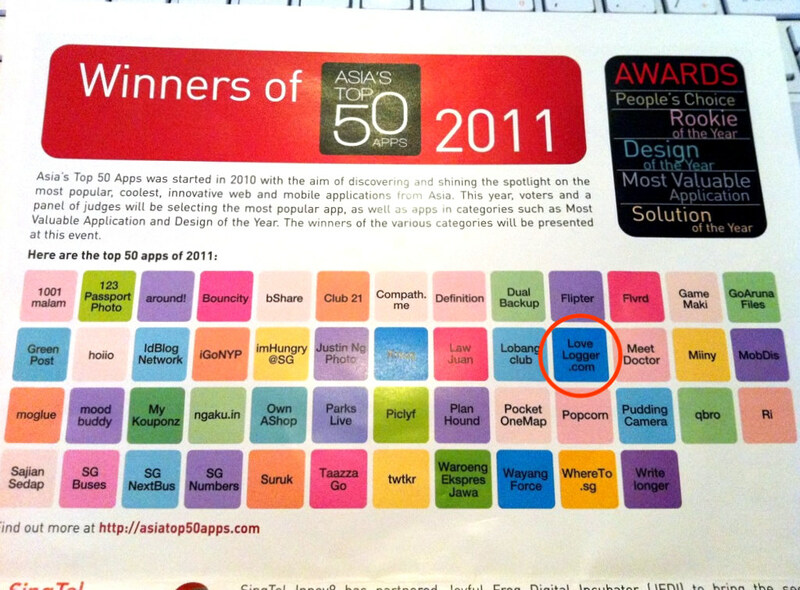 This is the first major, conscious adoption of what is called the widget-frosting model by an established business outfit. Corel also announces planes to port WordPerfect and its other office software to Linux. Sun Microsystems makes Solaris available under a free license to individual users, also to educational/non-profit/research institutions. IBM announces that it will sell and support Apache as part of its WebSphere shite. 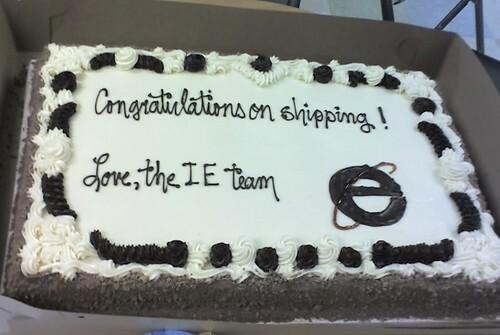 The trade press hails this as a breakthrough for Open Source software. 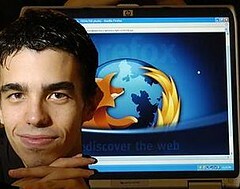 Oracle and Informix announced that the will port their database to Linux. Steve Ballmer, Microsoft President admits, " Sure, we're worried about Apache and Linux", and says Microsoft is considering disclosing more Windows source. 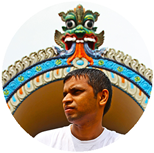 Any other important timeline of Open Source Software sagas, I have left ?